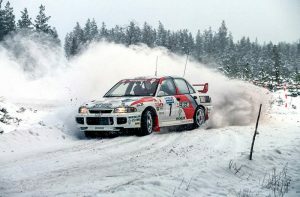 Ott Tänak is the winner of Rally Sweden, 2019. Day 3 started off with Teemu Suninen in the lead but his luck didn’t even last through the second stage of the day. 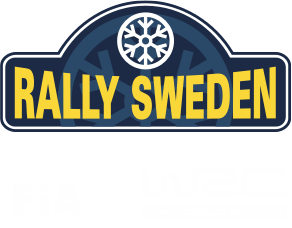 Congratulations to Petter Solberg and his wife Pernilla for winning the 2019 edition of Rally sweden Historic. Tänak's back in the league after Suninen went off. Vädret skapar fortsatt en besvärlig situation med problematiska förutsättningar. På grund av detta har beslutet tagits att ställa in dagens SS Vargåsen 1 och Torsby Sprint för historiska klassen. It turned out to be a freaky Friday on Day 2, especially for two of the favorites - Sebastién Ogier and Jari-Matti Latvala. Petter Solberg has a comfortable lead in the Historic class after today's leg, heading into the Service park over night. Impressive drive as always from the Norwegian fan favorite! Ott Tänak is leading the pack after the first three stages of the day. Då vi inte fått de minusgrader vi hoppats på under natten har beslutet tagits att ställa in dagens SS Torsby 1 för historiska klassen. Fastest at Shakedown, fastest at SSS1 Karlstad - Thierry Neuville was red hot on Valentine's Day!